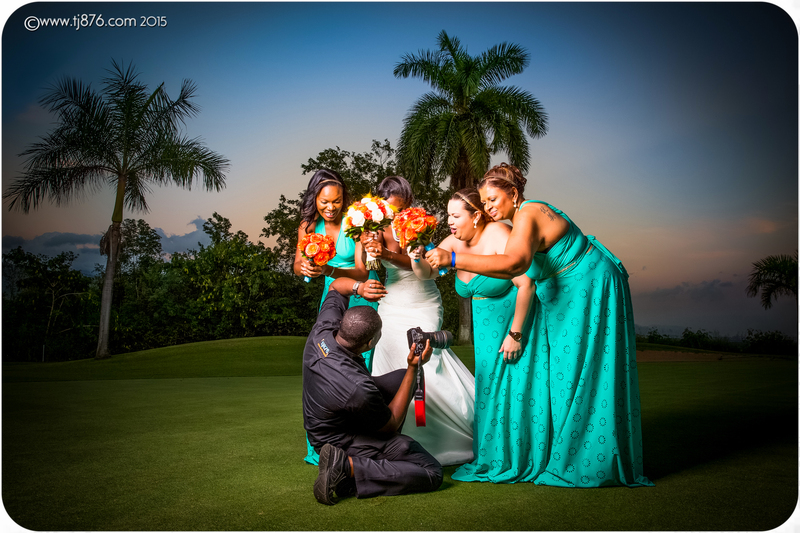 Peta-Gaye saw this picture we posted a few months ago where the bridesmaids at Ronica and Imar’s wedding were tired of having their photos taken and took out their frustration with their bouquets. Shortly afterwards, she contacted us and we started to discuss ideas for a photo shoot she had wanted for some time with her mom. We finalized on Portland as the location for its natural, enchanting beauty. Choosing two of the gems in Portland (Trident Hotel and Trident Castle) was an easy decision. This mother daughter duo was very fun to work with as we spent the entire afternoon exploring the property and creating memories for a lifetime.